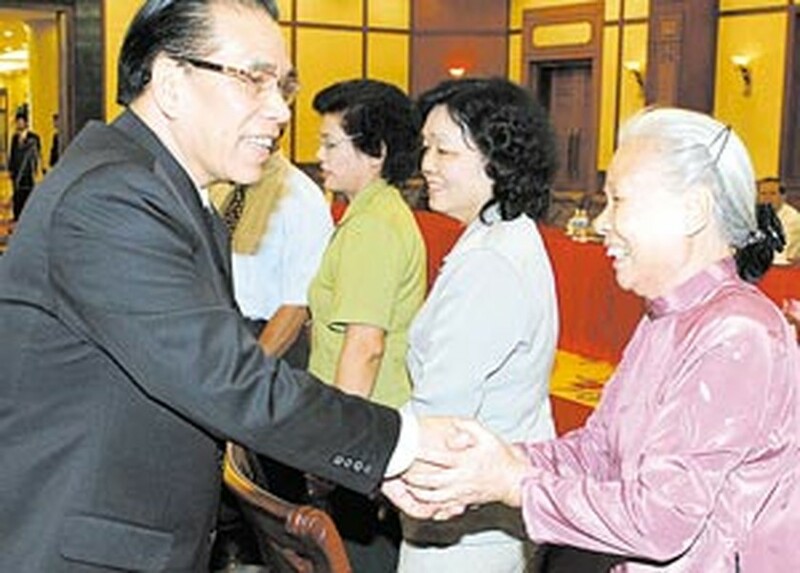 Party General Secretary Nong Duc Manh on July 13 hosted a cordial reception for representatives of generations of the voluntary youth force who have contributed to the country’s revolutionary cause. 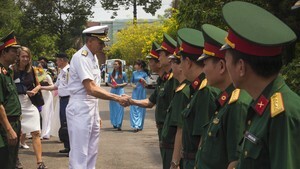 The meeting was part of the celebratory activities to mark the 60th anniversary of the Vietnam Voluntary Youth Force (July 15). Speaking at the function, General Secretary Manh recalled the enormous sacrifice the Vietnamese young volunteers have made to the struggle for national independence. Tens of thousands of youngsters have died for the country, while many others have to live with lifelong injuries or illnesses, Manh said. “Our Party, State and people will never forget those great sacrifices of the voluntary youth force throughout different times in history,” he said. At the reception, representatives of the voluntary youth force gave the Party General Secretary many suggestions concerning state subsidy policies for the former volunteers afflicted with war wounds and sickness or infected with the toxic Agent Orange/Dioxin from being on missions. General Secretary Manh took up the suggestions and asked volunteers of the previous generations to help educate today’s youngsters. He also urged the young generation today to follow the course of their predecessors by offering good deeds to contribute to the nation’s development.